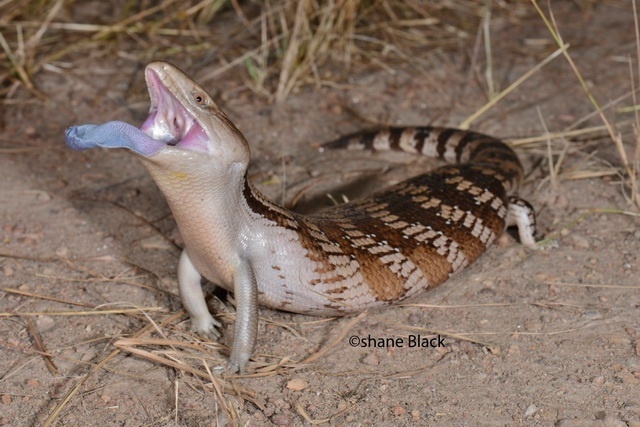 As their name indicates, blue-tongued skinks possess a blue tongue. The lizards sometimes protrude it to show the striking colour. Arnaud Badiane and colleagues explain why. The blue-tongued skinks from Australia, Indonesia and Papua New Guinea have a cryptic colour which protects them from hunting predators. But sometimes, they suddenly expose their large tongue, which catches the eye because of a striking blue colour. This behaviour seems odd, as it reveals the animals’ presence after all. Now, Arnaud Badiane and colleagues argue that also this tongue display offers protection from predators, just because the blue colour stands out against the background. A blue-tongued skink uses its tongue as a defensive strategy at the last moment, they say, when a predator is about to strike. The sudden appearance of the blue tongue startles or overawes the enemy – offering the skink a chance to escape. The researchers substantiate their arguments with experiments in which individuals of the northern blue-tongued skink, Tiliqua scindoides intermedia, were approached by models of predators: a snake, a monitor lizard, a bird, a fox or, as a control, a piece of wood. The tested skinks behaved normally until such a predatory enemy came very close. When attack was imminent, they suddenly opened their mouth widely and showed the entire tongue by sticking it out as far as possible. To a piece of wood the threatened skinks responded less strongly than to a predator model. To a bird and a fox they protruded their tongue most often, and to a fox or a snake they exposed the largest area of their tongue. In order to increase the shock effect, they inflated their body and hissed. The back of the tongue has the most intense colouration, and the tested skunks exposed this part when an enemy was in close proximity. The blue colour is detectable to the visual system of the natural enemies. Predators cannot learn to ignore such suddenly exposed blue flag, the biologists assume: a recoil reflex is inevitable. They still have to investigate how predators respond in reality. 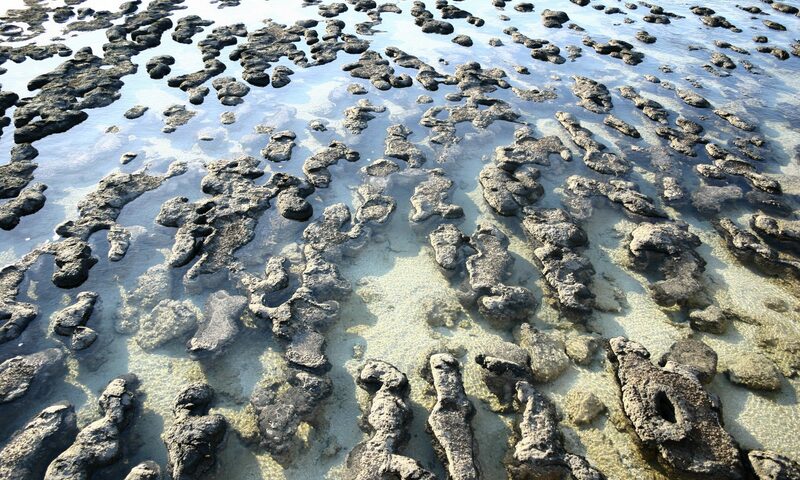 If they really are startled, blue-tongued skins in distress would rightly rely on their tongue as the last defence.